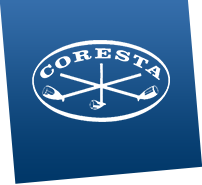 The CORESTA Physical Test Methods (PTM) Sub-Group organises a nominally annual cross-check that is open to calibration laboratories to compare their capability to calibrate standards used in physical test instrumentation. The testing provides a baseline of PD instrument performance across the industry, since this standard type is used in the PD instrumentation of each supplier. Each laboratory is also able to use the result set in internal and external audit assessments. This report covers the results of the 13th pressure drop (PD) standards cross-check, conducted between July 2017 and September 2018. The results of this round robin test continue to conform to the historical performance of the method presented in ISO 6565:2011 "Tobacco and tobacco products – Draw resistance of cigarettes and pressure drop of filter rods – Standard conditions and measurement" and to the results of previous round robin tests.